Fast metabolism is an important factor in weight loss. 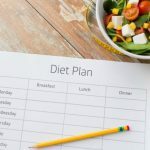 If the weight loss process has slowed or even stopped, it is not necessary to be conscious about your diet or exhaust yourself physically demanding. Just follow these simple guidelines to speed up your metabolism to lose weight easily. Recent studies have shown that active 45-minute of cycling prolongs burning calories for another 14 hours after a workout. Dr. David Niemen an Appalachian University professor said that 2-3 active cardio for 45 minutes a week can help lose about 500 grams of fat for two weeks. Every morning, each one of us need energy, so within an hour after waking up it is necessary to eat a healthy breakfast to keep your metabolism at optimal levels. And HERE you will find the most delicious recipes of dishes that will make your morning really good. Until now, many people think that skipping dinner can help quickly get rid of unwanted kilograms. But it is not so. Six meals per day is the optimal ratio which helps not only to speed up the metabolism, but also to get all the necessary nutrients. Stress not only damages the nervous system, but also reduces the rate of metabolism. All because of cortisol (the stress hormone), When its concentration in the blood is above normal, the metabolism slows down. At the first sign of stress try to take deep breaths .The best way to combat stress help classes in yoga. If you no time to visit the gym? Nothing wrong! The researchers found that even a very short but intensive training (no more than 2.5 minutes) can contribute to burning up to 200 calories during the day. For most of you this would be surprising, but the proper snack before bed will help speed up the metabolism, it is a fact that low levels of blood sugar reduces muscle mass and a small meal (only if it is not more than 100-200 calories) will help maintain normal sugar and burn fat even while you sleep. Rich in fiber whole grains, getting into the stomach, greatly increasing in volume, so the feeling of saturation comes faster and lasts longer, so the next time you eat a food receiving much less. In addition, this food requires long and thorough chewing, and this, in turn, another 10 per cent burns more calories. So do not forget to include in your diet brown rice, oatmeal and barley. Benefit from repetitive training on a treadmill is not so much, but if you add intensity interval load, it is possible to make the body work faster. For example, 45 minutes of running intervals at the limit of their own capabilities will burn more calories than consumed during normal running in the same rhythm. And these magnificent exercise on a treadmill will help you not only to tighten the muscles, but also to develop balance and coordination. Chili is famous not only spicy taste, but also for its beneficial properties. Thus, only one pinch of red pepper will add a familiar dishes sharpness and, importantly, speed up metabolism. After weight training metabolic rate remains high for a few more hours. For maximum effect, aiming to allocate at least two hours a week on the power load. There are many powerful arguments in favor of dark chocolate, such as the fact that it speeds up the metabolism. This effect is promoted by such substances as caffeine and catechin antioxidant included in the composition of the chocolate. A small portion of this dessert will improve and mood, and metabolism. This fragrant oriental spice contains nearly all the nutrients – from antioxidants to essential oils and vitamins. 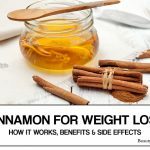 In addition, due to its property to regulate blood sugar levels and speed up the metabolism, it is indispensable for people watching their weight. Add cinnamon oatmeal in the morning, sprinkle it a slice of wheat toast or soup season. Violation of the water balance significantly impairs health and has a negative impact on the figure. 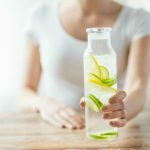 A recent experiment showed that people who drink 8 to 12 glasses of pure water a day burned more fat than those who are satisfied with only four glasses. Numerous studies have confirmed that a full sleep for 7-8 hours a beneficial effect on human health. But lack of sleep – on the contrary, a negative effect on all processes occurring in the body. So sleepy person eats in a day, two times more food than those who slept through the night. And overeating, as it is known, a direct path to weight gain. For half an hour before bedtime be sure to turn off all the gadgets , because the bright light emitted by your phone, tablet or laptop, distracts and disturbs sleep. Nuts are a great choice for Snacks; almonds, cashews, walnuts nuts, all these are incredibly tasty and healthy alternative to chips and cookies. Additionally, nuts, due to their composition within the proteins and polyunsaturated fatty acids, helps speed up metabolism. Crispy French Baguette, a handful of salty chips, chocolates – all this, of course, sounds very tempting, but there no benefits from such food. Fast carbohydrates are not saturated, and vice versa which gives us an urge to eat even more. It is better to make a choice in favor of wholesome food with high protein and fiber which not only contains fewer calories but also improves the metabolism in the body. Ginger is an incredibly popular spice, which not only speeds up the metabolism, but also makes the taste of any dish more rich and interesting. 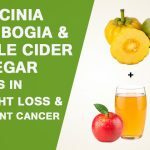 We know many delicious recipes with ginger, from which you get the maximum enjoyment and benefit. Even a short stay in the open air contributes to greater food digestion and fat burning; a sedentary lifestyle slows down metabolism, so make it a rule to walk any time before or after dinner in fresh air. 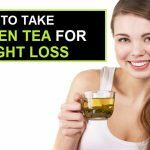 Scientists have conducted studies and found that four cups of green tea a day will help to get rid of an average of three kilograms in just eight weeks. The composition of green tea includes antioxidants such as catechins, which increase the rate of burning calories by approximately four percent (80 calories) per day. 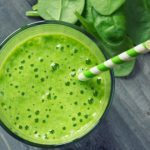 Smoothies for breakfast are not only healthy but also help speed up the metabolism, Smoothies help restore power and get the necessary dose of antioxidants. If you love this Article, you can subscribe to our page on ” Facebook ” or ” Pinterest. With us, you will know how to look after their health, and become so beautiful that everything just be jealous. Fast metabolism is an important factor in weight loss. Just follow these simple guidelines to speed up your metabolism to lose weight easily.